Give your child the opportunity to become a part of Matua School. 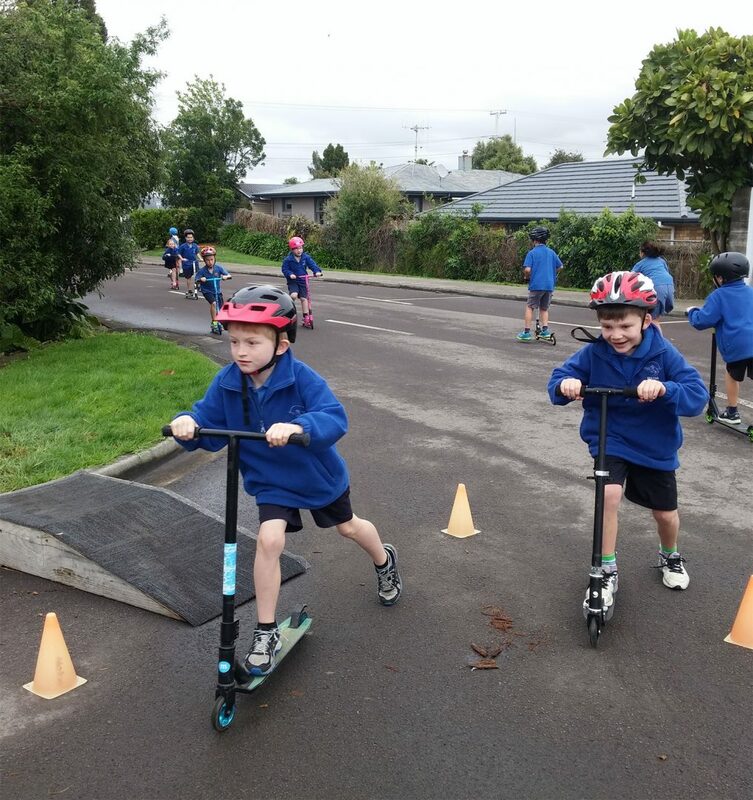 All children living in our enrolment zone are entitled to attend Matua School. Enrolments are taken at all levels throughout the year. If you are living in zone and haven’t indicated to the school that your son/daughter will be attending at some stage, please fill out the form ‘Intention to enrol – In Zone’ and send it to the school. The act defines ‘In Zone’ where the child usually lives and it will be necessary to ask you to provide evidence that you are living inside the zone. Matua School has a Ministry of Education approved Enrolment Scheme in place. To comply with the provisions of this scheme, residential addresses will require verification before an enrolment is accepted. Please bring a copy of either a Tenancy Agreement or a Rates Invoice when enrolling. As we are required to check birth certificates and immunisation records of New Entrant children, it would be appreciated if the birth certificate/passport, or appropriate residency documentation could be brought along to School as soon as possible for verification, if this has not already been done at the time of enrolment. These items must be sighted prior to your child’s attendance. Enrol form in order that our records are updated and we can prepare for your child to attend our school. The whole of the Matua Peninsula, with an eastern boundary of No. l Beach Road. Ngatai Road from Nos. 190/197 (inclusive) to the east to Nos. 428/423 (inclusive) to the west. All of Short St, Ngahere, Lilac Place and Freyberg St from 1 to Nos. 80/87 (inclusive). All of Cherrywood Dr, Laing Place, Carol Place and Tupaea Place. All of Chevron Drive, Western Road, Linklater, Carlton Street, Emily Place, Cynthia, Worseley, Katherine and Matilda Way. If you are living outside of the enrolment zone, you may submit an ‘Intention to enrol – Out of Zone’. This does not ensure enrolment but signals your interest in a placement for your child. If there are spaces available you will be asked to fill out an enrolment form. If we are unable to offer your child a placement you will be notified by letter or email. Note to parent/caregiver: If you are living outside of the school’s zone, it is only possible to secure a place at the school if there is a vacancy. The reason for setting up the enrolment zone is to ensure that our class sizes do not become too large and over-crowded. Children living outside the zone may obtain a place through a ballot system. will be given to an applicant who is a child of a former student. Complete an ‘Intention to Enrol’ form which can be found under Enrolments on the website. Fill in an Enrolment Form around 6 weeks prior to your child’s 5th birthday. Other documentation required is also listed on the website. Parent Information Evenings are held at School in Week 5 of each term at 7pm on a Thursday. Enrolment Packs include a Stationery List. New Entrant Stationery Packs are available for purchase from the School Office. Also included in the Enrolment Pack are Guidelines for Parents of Children Entering Matua School and other useful information about our Junior School. Any questions or concerns can be discussed with Assistant Principal Angela Barlow who leads the Junior School. Families who are on a low income or benefit can contact `the Department of Work and Income’ to access a $300 once a year advance payment(that must be paid back) to buy a uniform and equipment for school. Polo Shirt -short sleeve (Blue) with school logo. Polar Fleece 3/4 zip (M & F) with school logo. The sports uniform that can be purchased is the same as the current school sports uniform. Throughout the year, notice of the ordering procedure is signalled in a separate flyer and/or through the school newsletter. Orders are made through the Sports Coordinator once a term. The sports uniform is Canterbury apparel, branded with the product label available to schools. If your child is not a New Entrant and starting part way through the year, the classroom teacher will advise what stationery will be required. Stationery is available to purchase at the School Office for your convenience. New Entrant stationery packs are also available at the school office through out the year. To enrol your child at Matua School, fill in the following “Intention To Enrol” form, and we’ll be in touch. If their address is the same as the child, just put "same"